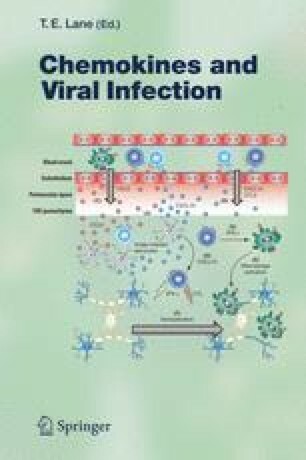 Entry of human immunodeficiency virus (HIV) into target cells is mediated by the viral Envelope glycoprotein (Env) and its coordinated interaction with a receptor (CD4) and a coreceptor (usually the chemokine receptors CCR5 or CXCR4). This review describes the identification of chemokine receptors as coreceptors for HIV-1 Env-mediated fusion, the determinants of chemokine receptor usage, and the impact of nonfunctional chemokine receptor alleles on HIV-1 resistance and disease progression. Due to the important role of chemokine receptors in HIV-1 entry, inhibitors of these coreceptors are good candidates for blocking entry and development of antiretroviral therapies. We discuss the different CCR5- and CXCR4-based antiretroviral drugs that have been developed thus far, highlighting the most promising drug candidates. Resistance to these coreceptor inhibitors as well as the impact of these drugs on clinical monitoring and treatment are also discussed.